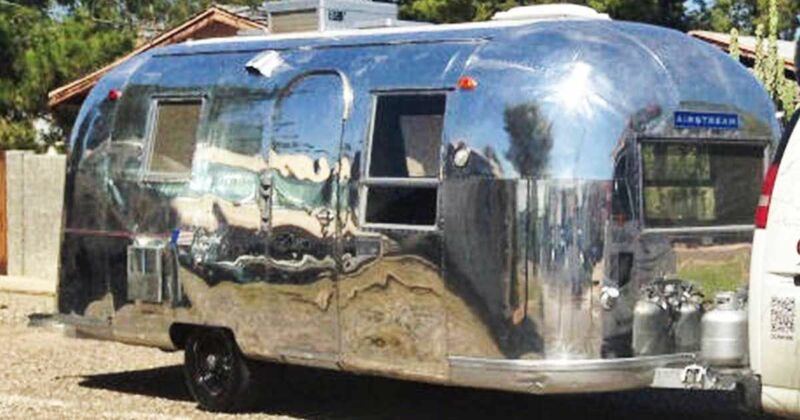 There is nothing quite like owning and designing your very own Airstream. With it comes design challenges that simply don't exist when it comes to renovating other types of spaces. 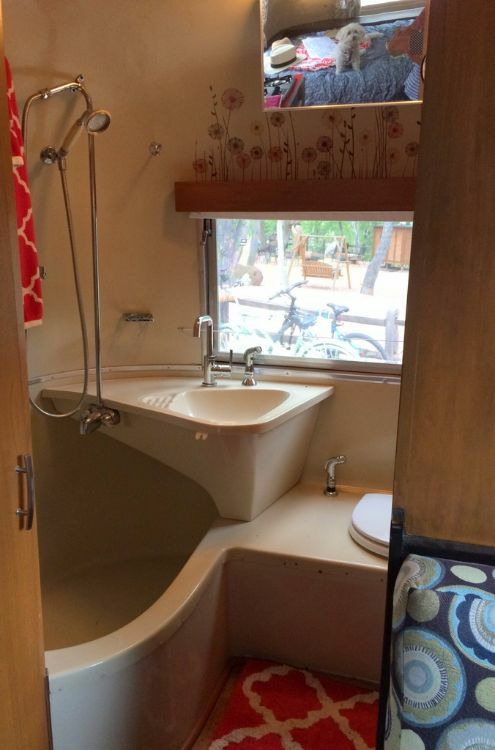 Christie, of Little House on the Wheelies, has been designing kitchens and bathrooms with her husband for over two decades but has been dreaming of remodeling an Airstream for years. 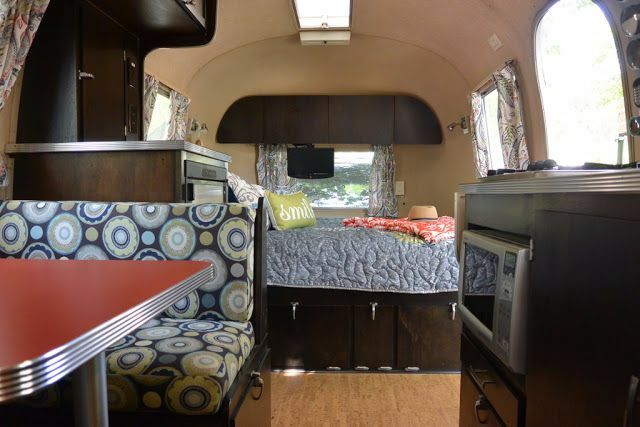 Last year, Christie was able to mark her Airstream dreams off of her bucket list for good. 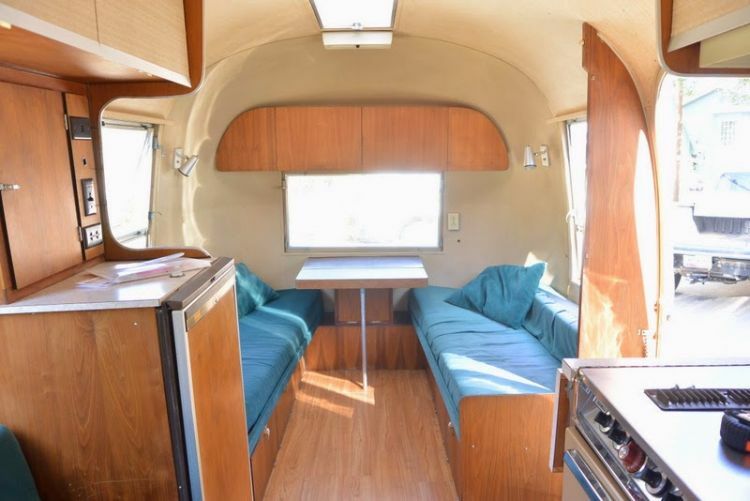 She purchased her 1965 Airstream Safari in 2014 and although it was in fairly good shape for its age, Christie had some changes in mind. What she imagined as being a few easy changes quickly turned into a black hole of design, "However, I will say it is a fun hole to fall into." 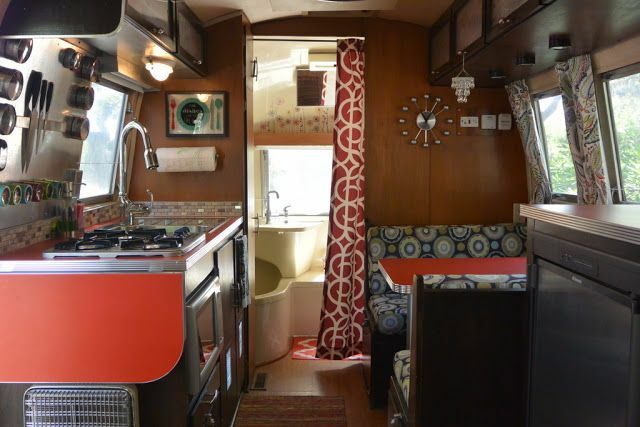 Meet the new and improved MayBelle, Christie's new fabulous house on wheels. 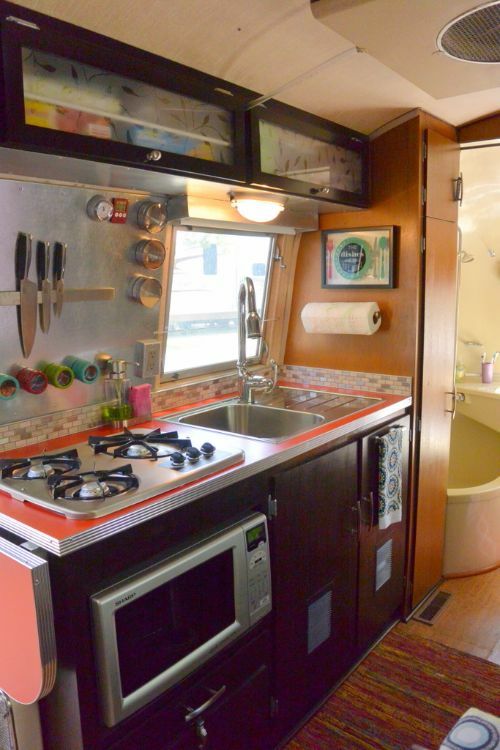 The color scheme is bold, hinting at the Airstream's retro past but still feels contemporary. We love elements such as the tiny chandelier above the dinette. The kitchen received a major facelift. Here, Christie's years of experience in kitchen design really shines. She removed the outdated stove and replaced it with a cooktop and convection microwave. She also removed the original overhead compartments for something with a little more character. The dark wood detailing found in the kitchen continues throughout the Airstream. As you can see, MayBelle does not lack storage space. There are tons of nooks and crannies throughout making organization a breeze. The bathroom is the room that changed the least because of the great shape it was in. Christie opted for keeping the original shower fixtures, admiring its vintage charm. After seeing this shot of the original interior, we think she did an amazing job!